At Home Beauty Therapy - Beauty Salon Morningside offer clients a full range of professional beauty services in the privacy and comfort of your own home, with treatments convieniently available by appointment 5 days till late. 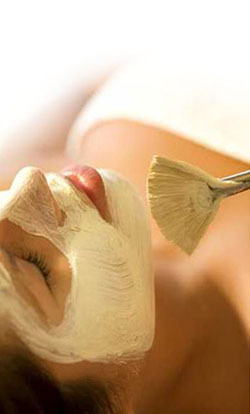 At Home Beauty Therapy are highly skilled with over 16 years professional beauty therapy experience and use only the highest quality beauty products. At Home Beauty Therapy - Beauty Salon Morningside specialise in Hens Parties, Mothers Groups, Ladies Pamper Parties, Mother-Daughter-Sister Pampering, Kids Pampering (8-12 years), Couples Packages, Spray Tan Parties, Mens Packages, Bridal Packages, Special Occasions. At Home Beauty Therapy are Brisbane's best mobile beauty services, offering you all beauty, massage and spa services in the comfort and convenience of your own home, office, retirement village, hospital room or hotel.